What better way to make your already efficient smartphone easier to handle in any situation than with the help of a smartwatch. 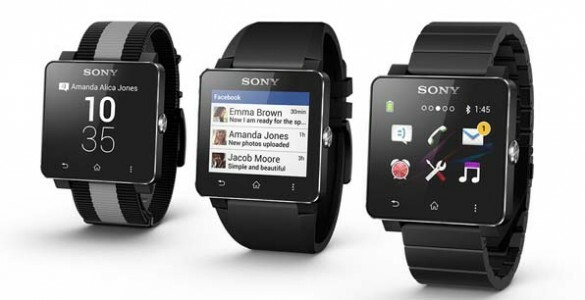 We are not talking about any smartwatch but about the Sony SmartWatch 3, a top of the line product in the field, at least until a definitive format for the iWatch is released. The Sony Smartwatch 3 is a great piece of tech to add to your everyday baggage. It can prove to be extremely useful as well as a comfortable and stylish accessory that can work well with just about any form of outfit. The Sony Smartwatch 2 is a particularly good choice for people that want a great piece of technology that also look wearable, even stylish. The watch comes with a rubber wrist band that can be replaced with a leather or steel one depending on what the buyer prefers. The watch has a 1.6 inch display, sufficiently large to allow users a clear, easy to understand view while also providing a decent sized watch that won’t look out of place on your wrist or take away from your flexibility. The display is sun readable, so regardless of the weather conditions you will be able to tell the time or use any of the other functions the watch offers. The watch also offers a series of apps and is, of course connected with your smartphone via a bluetooth connection. You will be able to easily see who is calling you while you ride your bike or are in a position where you can’t reach your phone. You will also be able to check most forms of social media like Facebook, Twitter or your email. A series of other mini-features make this watch an amazing idea, a perfect gift and an all-around awesome piece of technology.